On November 9, a political coup was staged quietly in India. The chief minister of a small state was handed the no. 2 status in the union government, overlooking the claims of seasoned veterans like Arun Jaitley, Rajnath Singh, Venkaiah Naidu and Nitin Gadkari. Oh, and by the way, the country got a new defence minister in Manohar Parrikar. While the mainstream press attributed the sudden promotion to his dynamism, track record and rapport with NaMo, I am of the view that there are higher forces at work here. One look at the numerology numbers of the man and youa��ll appreciate my points better. Having been born on December 13, 1955, three numbers dominate Parrikara��s life. His birth number 4 (add the digits of 13), fadic number 9 (add the digits of the date of birth) and name number 8 (add the number equivalents of the letters in his name using the Chaldean system). Those with birth number 4 are governed by planet Uranus, which is known for bringing about radical and unexpected change. Number 4 people are the ones with energy, force, resourcefulness, courage and conviction. They are usually folks blessed with higher mental faculties. Mathematician Ramanujan, Michael Faraday, Immanuel Kant and Arthur Conan Doyle, belong to this league. The IIT Bombay aspect of Parrikar and the sudden changes in his fortunes could be attributed to the number. The name number 8 is the one thata��s playing a larger role in his destiny, though. 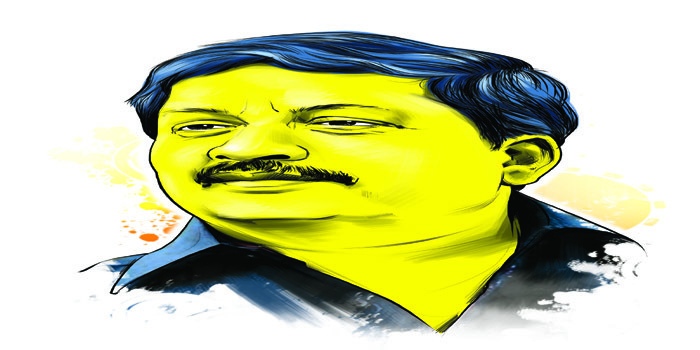 When he contested the assembly elections in Goa, Parrikar chose to stand from Panaji. If you do the math, Panajia��s name number is 8. Coincidentally, the letters of RSS (the organisation backing him to the hilt) add up to 8. Do you know the birth number of Narendra Modi, who happens to be backer-in-chief for Parrikar? Well, ita��s 8. The eight story doesna��t stop there. The word a�?defencea�� (his current portfolio) also summates to that number. a�?What about the fadic number 9?a�� you may ask. Well, the swearing in ceremony was done on November 9, despite being a Sunday. So you get the drift, right? All I am alluding to is, given the numerical coincidences, I may not be wrong in assuming that the universe is conspiring to dish out power to Manohar Parrikar on a platter. Ita��s to be seen if he can live up to the faith invested.